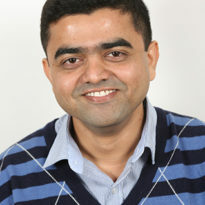 Ajay joined the School of Earth and Environment, University of Leeds in August 2016. He was previously based at the Grantham Research Institute on Climate Change and the Environment at LSE. His research focuses on climate change adaptation in water resources, stakeholder perceptions and decision-making approaches. Ajay is an Erasmus Mundus Scholarship awardee for the European Master’s programme in Environmental Science, Policy and Management. Ajay pursued his PhD at the Indian Institute of Technology Kharagpur and he is also associated with the Earth System Governance Project as a Research Fellow.